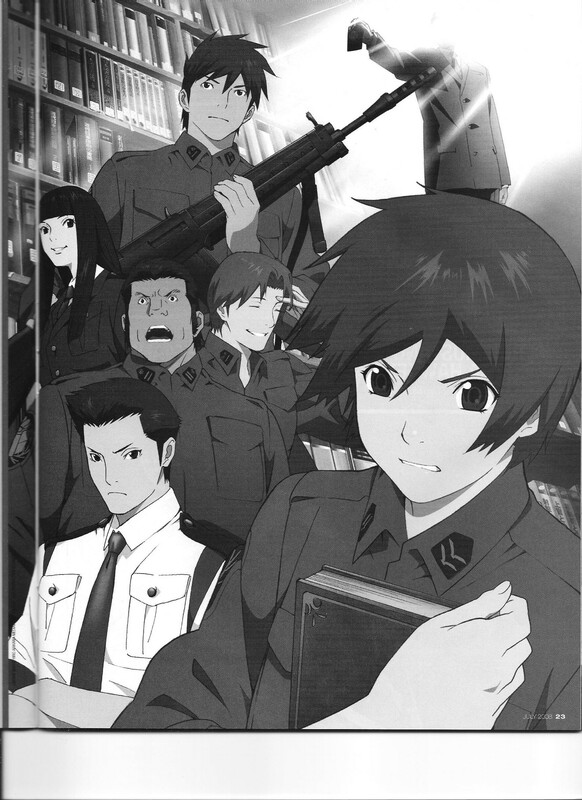 Library War director Takayuki Hamana talks about getting excited about the animators involved in the project before he even agreed to direct it. 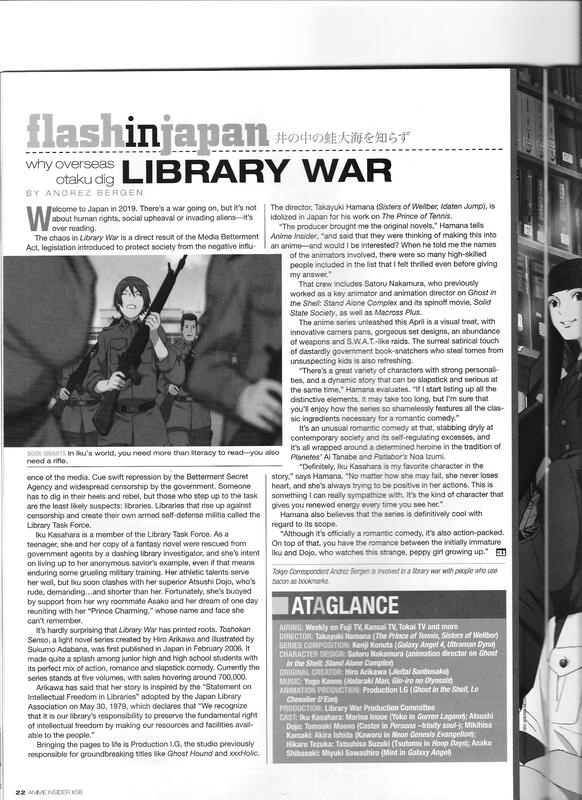 This entry was posted in Old Magazine Articles and tagged Anime, Borderline Plagarism for the Freedom of Information, Library War, Takayuki Hamana by torisunanohokori. Bookmark the permalink.